Whether you're tiptoeing around zero lot lines, tending livestock, laboring indoors, or removing snow, this nimble skid steer won't have any trouble fitting in. Its small stature enables the 315 to slip comfortably through narrow openings and into tight quarters. Makes it easy to trailer and easy on turf, too. But this "lightweight" won't get pushed around. Optimal 60/40-weight distribution gives it the stability needed for handling heavy loads. And its high-torque turbocharged 2.4L diesel won't throw in the towel when the going gets tough, either. 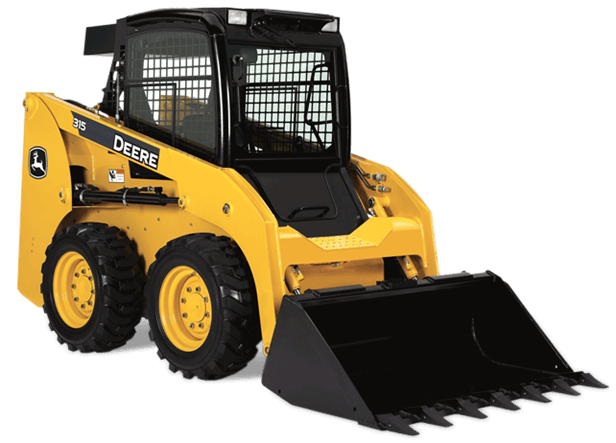 With the 315, it's not the size of the skid steer in the fight, but the size of the fight in the skid steer.